Safe Schools/Healthy Students (SS/HS) funds are meant to spark positive system changes in schools and communities by providing the infrastructure and resources to establish cross-sector partnerships, identify and implement effective programming, and institutionalize long-term improvements over time. 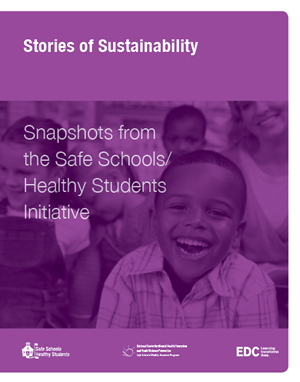 Sustainability is a major focus of the grant program, and grantees are encouraged to plan for sustainability from their first day of funding.This Snapshot report explores how former SS/HS sites have sustained partnerships, programs, activities, functions, and school climate and infrastructure changes. The best practices and successes of these communities can serve as a model for communities looking to make lasting change in the lives of children and families. Find out more about how communities sustained key partnerships and programs.